Maybe you didn’t make it to the beach for 2017’s festive season. That’s ok, because now, those randelas you saved up from lying low can be used on something else far more exciting this year. How does a road trip to a music festival sound? Summer is only just getting warmed up after all, and there’s still plenty of sunshine left to enjoy. 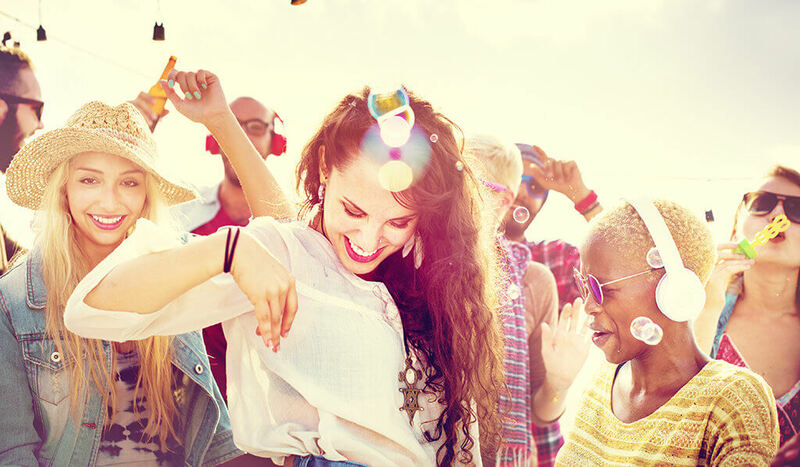 So, start planning, grab your besties, and take your TATA along for a ride to any of these epic upcoming summer music festivals. The Up the Creek Festival has been around since 1990. What makes it stand out from other music shows though, is that it’s set between a dirt road and the waters of the Breerivier. That’s right, you can enjoy all the acts, including rock, pop, indie folk, and more, from the comfort of a lilo, boat, or anything else that floats! Situated a mere 230km from Cape Town, you definitely don’t want to miss this experience. The biggest electronic music festival is coming back to South Africa. This 5th edition will feature headliners such as Armin Van Buuren, Hardwell, Black Coffee, and many, many more. Ultra is doing two shows, one in the Western Cape, at Cape Town Stadium, and one at the expo centre in Nasrec, Johannesburg. Take your pick, and if you’re planning to travel from a neighbouring province, drive safe and enjoy the ride. Splashy Fen, named after the venue where the event takes place, has been dubbed “SA’s friendliest music festival”. It was born around a dinner table back in 1990 by Bart Fokkens, and the late Peter Ferraz, whose aim was “to have a really good time with a few musicians playing around campfires, joined by some truly passionate music-lovers.” The rest as they say, is history. If you’re looking to attend this popular festival, it’s about a 250km drive from Durban. If Underberg, KwaZulu-Natal is just a little too far for your liking, you may want to head to Clarens instead. It is home of the Lush Festival, which runs over the same period as Splashy Fen. The line-up this year covers a variety of genres, and includes the likes of Jack Parow, GoodLuck, aKING, Desmond & The Tutus, and many more. It’s only 300km or so from Johannesburg, and well worth the drive. If for some reason you’re unable to attend any of the above festivals, you may want to hold out for arguably the biggest South African one, OppiKoppi, which takes place much later in the year. The first week of October sees thousands flock to the Limpopo Province for three days of musical goodness. A wide range of genres are covered over multiple stages, including rock, jazz, house, and much, much more. OppiKoppi is only 220km from Johannesburg, but the festival is well worth attending, no matter where you’re based in the country. Wherever you may be, your TATA is more than willing to make the journey.